Periodontal disease is an infection of the supporting structures around the teeth. These include the gums, ligaments and jawbones. In its earliest stage, it is called gingivitis and only affects the gums. It can also be completely painless, meaning that the majority of us may have it and not even know about it! 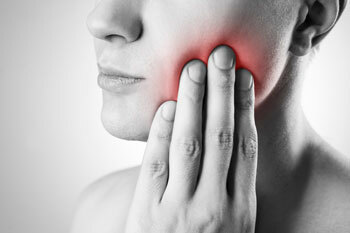 Importantly, periodontal disease is the leading cause of tooth loss today. Therefore, it is important to diagnose it in its earliest stages before it leaves irreversible damage to our mouth. What can be done about periodontal disease? The good news is that periodontal disease can be prevented and treated. Having a gum cleaning with our hygienist every six months along with an effective home care regime is often all one needs to prevent periodontal disease from damaging their mouth. If advanced periodontal disease is diagnosed, we can refer you to a specialist who focuses only on your gums. This specialist is called a periodontist. We also have a trained dental hygienist at our practice who will help you manage your gums in the most appropriate manner. If you’re worried about periodontal disease in Parkwood, contact our team to book your initial appointment!